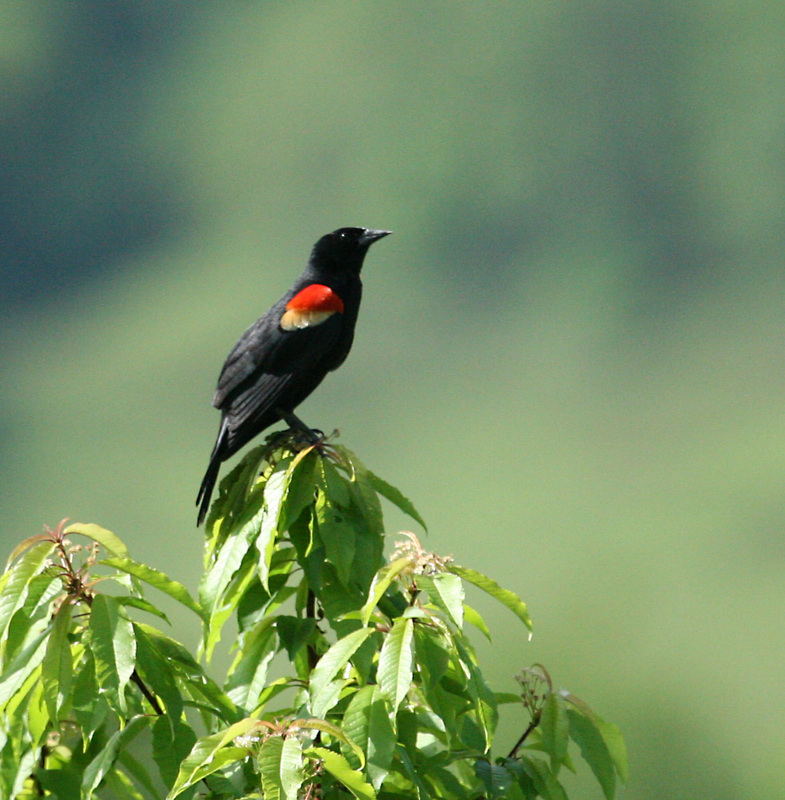 The Red-winged Blackbird (Agelaius phoeniceus) is 7.5 to 9.5 inches in length. The male is black overall, including the bill, wings, and tail. It has red shoulder patches with buffy yellow at the bottom. 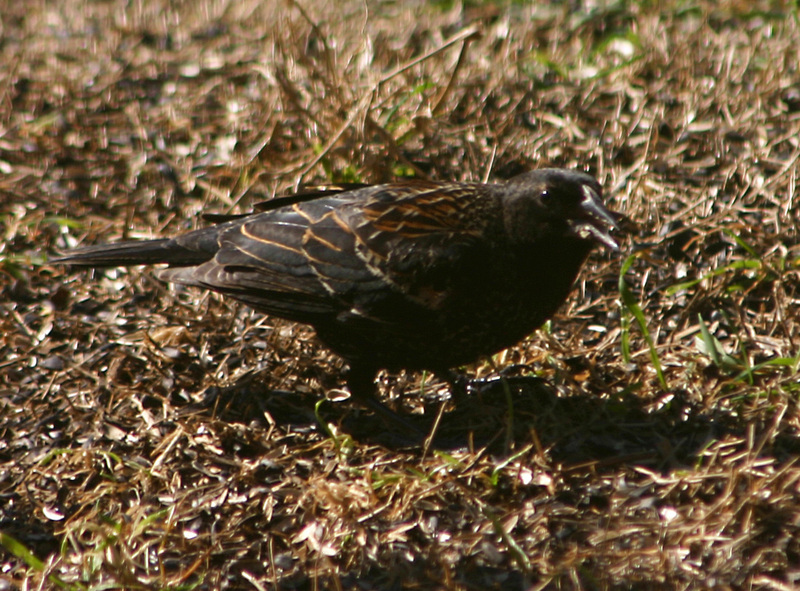 The female has brown upperparts with dark streaks, dusky white underparts that are heavily streaked with brown, a dusky tan face, and 2 thin, tan wing bars. The males can completely cover the red patches or display less than the full patch, depending on how socially dominant he is within the group. The song of the Red-winged Blackbird is a reedy, gurgling conk-a-ree. The alarm call is a tjeek! The Red-winged Blackbird is considered abundant to common in fields, thickets, and marshy areas. 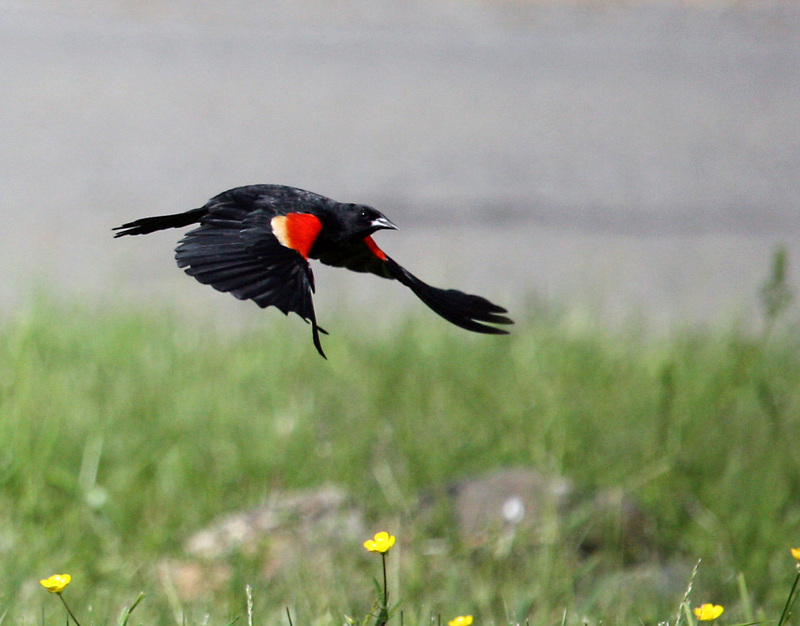 They eat seeds, grains, berries, and wild fruit, and will come to bird feeders for birdseeds. Click here for more information and a range map. Click on the player below for Red-winged Blackbird Vocalizations.